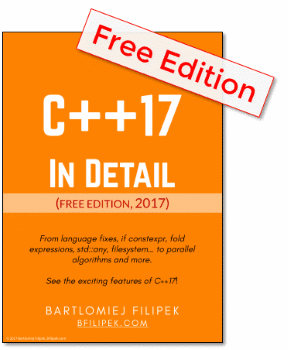 Welcome to new C++ Links - most important and useful articles, podcasts and videos that happen between 29th September and 5th of October. In this week you will find two trip reports from CppCon, an article about std::any (aka modern void*), a video about std::fmt library and many more! Registration for code::dive - biggest C++ conference in Poland - is open! 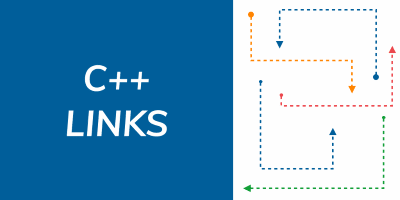 Sean Parent, Dan Saks, Odin Holmes and many more world class C++ gurus. It’s super cheap - less than 7$! The conference takes place in Wrocław, 7&8th November 2018. 5th post in series about the mathematics behind comparison from Jonathan Mueller. In this episode, he shows practical examples of using three-way comparisons in ordering algorithms. Article on MSVS blog from Casey Carter about std::any - better version of void* :) It describes differences between std::any, void* and shared_ptr<void>.